This 3D printable model of a human heart was generated from a contrast enhanced CT scan. This model is an improvement over a prior version (here). It shows the heart with slices cut in the anatomical transverse plane. If you are interested in a heart with short-axis slices, check out my short-axis stackable slice model here. Notches have been added to ensure the slices fit together and do not slide against each other. The model demonstrates the detailed anatomy of the human heart in exquisite detail. Each slice stacks on top of the prior slice to form a complete human heart. Individual slices show the detailed cardiac anatomy of the right and left ventricles, and right and left atria, and outflow tracts. Perfect for educational purposes. It has been validated as printable on an Ultimaker 3 Extended printer. This 3D printable model of a human heart was generated from a contrast enhanced CT scan. The model comes in 4 slices, and demonstrates the detailed anatomy of the human heart in exquisite detail. Each slice stacks on top of the prior slice to form a complete human heart. Individual slices show the detailed cardiac anatomy of the right and left ventricles, and right and left atria, and outflow tracts. Perfect for educational purposes. 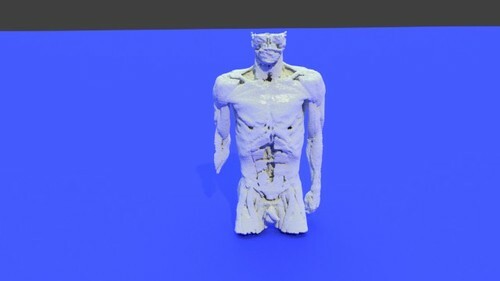 Download this model for free and 3D print the model yourself! 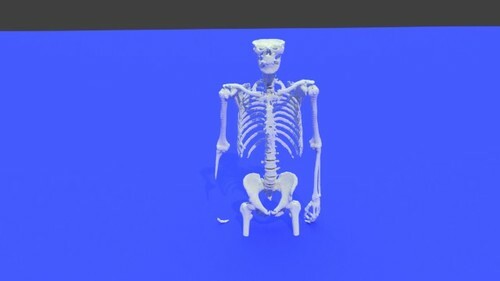 If you find this and other free medical models available for download on Embodi3d.com useful, please give back to the community by uploading and sharing a medical model of your design. 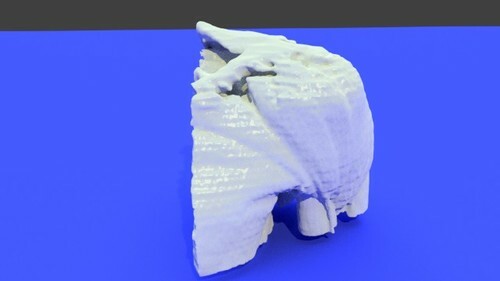 This 3D printable model of a normal human heart was generated from an ECG-gated contrast enhanced coronary CT scan. The slices are cut to illustrate the echocardiographic short-axis view. 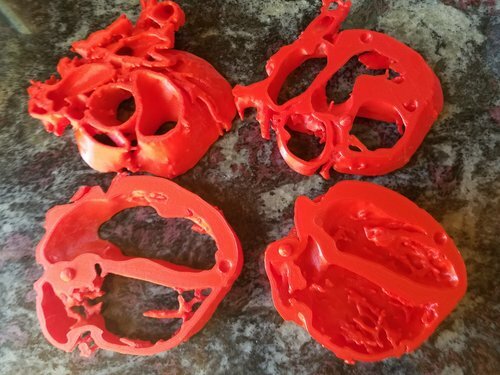 If you are interested in a 3D printable heart that shows slices in the anatomical transverse plane, click here. Notches have been added to ensure the slices fit together and do not slide against each other. The model demonstrates the detailed anatomy of the human heart in exquisite detail. Each slice stacks on top of the prior slice to form a complete human heart. There is a sturdy and stable base. Individual slices show the detailed cardiac anatomy of the right and left ventricles, and right and left atria, and outflow tracts in echocardiographic short-axis projection. Perfect for educational purposes. 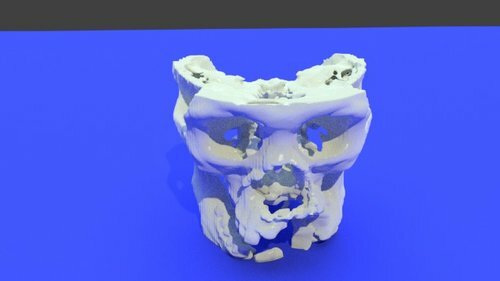 This half-size skull with web-like texture was created from a real CT scan. The beautiful lace-like structure not only makes the piece aesthetically interesting and strong, but also reduces material cost when 3D printing. The file is in STL format. This is the half-size version. A full-size version is also available here. 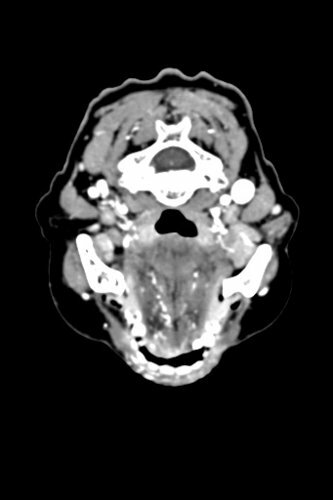 This noncontract Facial CT scan of a gunshot to the face is the scan file used in the 2018 RSNA meeting Intro to Open Source 3D printing sofware course (RCA 35). View the full tutorial here. 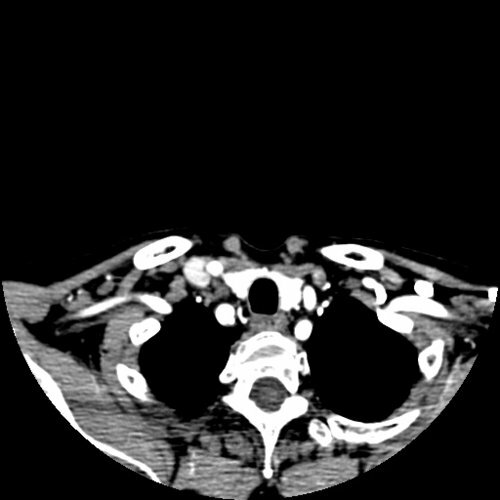 It is a trimmed version of the facial CT originally uploaded and shared by Imagineitalaska. 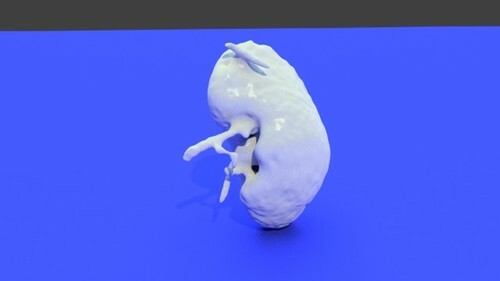 This 3D printable STL file contains a model of the left kidney was derived from a medical CT scan. It shows the renal collecting system clearly. A test file to convert to a model. 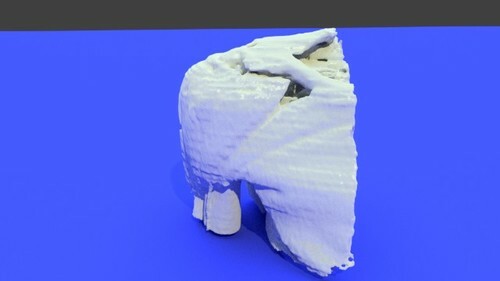 This 3D printable STL file contains a model of the right shoulder was derived from a real medical CT scan. It shows the pectoralis, deltoid, biceps, and triceps muscles, as well as musculature of the chest wall. 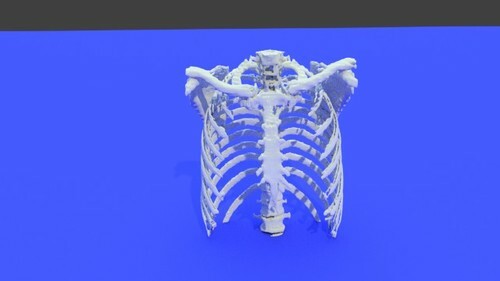 This 3D printable STL file contains a model of the muscles of the chest and back was derived from a real medical CT scan. The pectoralis, latissimus dorso, scalene and other muscles are shown in great detail. 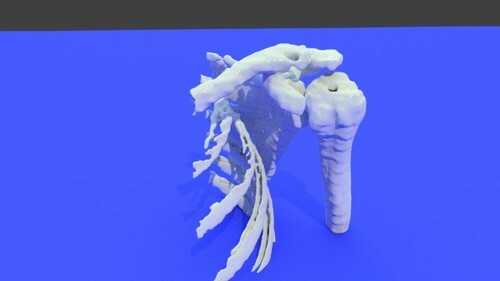 This 3D printable STL file contains a model of the left shoulder was derived from a real medical CT scan. It shows the deltoid, pectoralis, triceps, and biceps muscles in great detail. Also, the muscles of the chest wall and ribs are also shown. 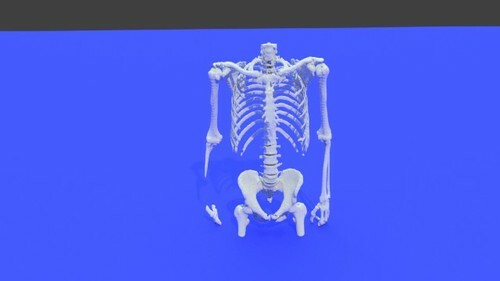 This 3D printable STL file contains a model of the torso, including the spine, shoulders and arms, pelvis, and proximal legs. 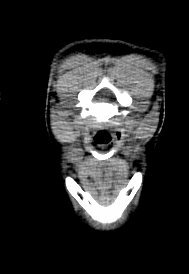 It was derived from a real medical CT scan. 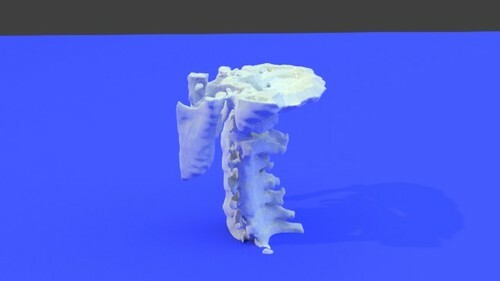 This 3D printable STL file contains a model of the cervical spine was derived from a real medical CT scan. 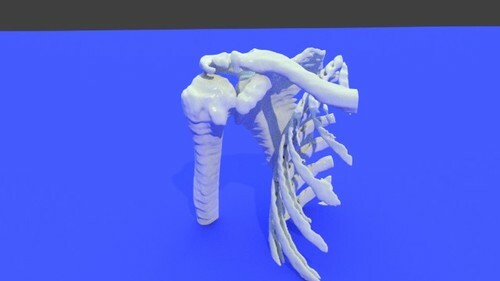 This 3D printable STL file contains a model of the bones of the left shoulder was derived from a real medical CT scan. 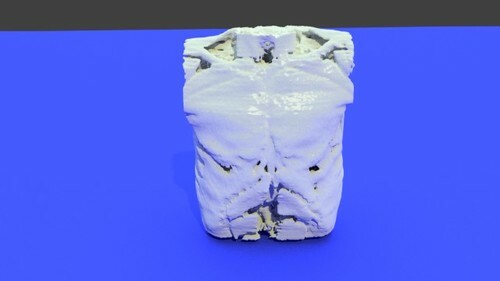 This 3D printable STL file contains a model of the right shoulder was derived from a real medical CT scan. 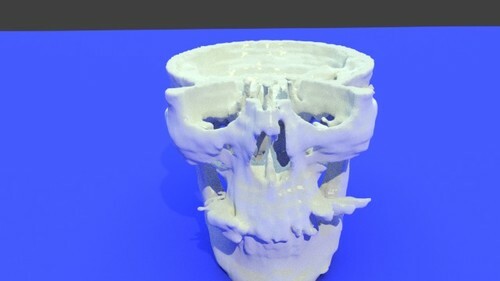 This 3D printable STL file contains a model of the rib cage was derived from a real medical CT scan. 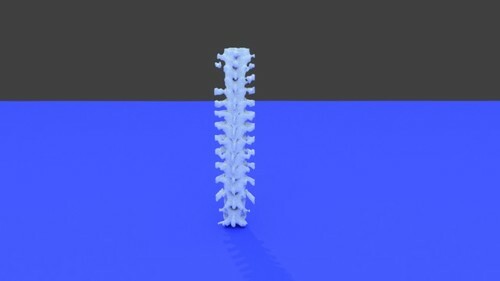 This 3D printable STL file contains a model of the thoracic spine was derived from a real medical CT scan.